It can heal your body. It can reduce your stress. It can return your calm. It can help you grow. We do more than poses. We teach Yoga practices in an intimate classroom style setting with a focus upon physical technique and the philosophies of Raja and Hatha Yoga. Our studio is a classroom. We approach the practice as an opportunity to learn. Our intention is to help you to learn how to reduce the effects of unconscious actions; traumatic and repetitive injury to your body. We are here to guide you toward developing an understanding of how breath relates to body and mind, and to learn how relaxation effects you differently from sleep. Our sequences are intelligently designed to create energetic shifts. Every practice includes an educational portion during which we will discuss the philosophies that guide our practice. We invite you to ask for what you want and be prepared to receive that which you need. Join us and gain knowledge and understanding of your self and the world. ​Return to a state of harmony in life. Join us to Discover Your Self. No need to book ahead of time or download apps to register for our classes. ​Simply arrive early for the practice you would like to attend and we'll be happy to sign you in. 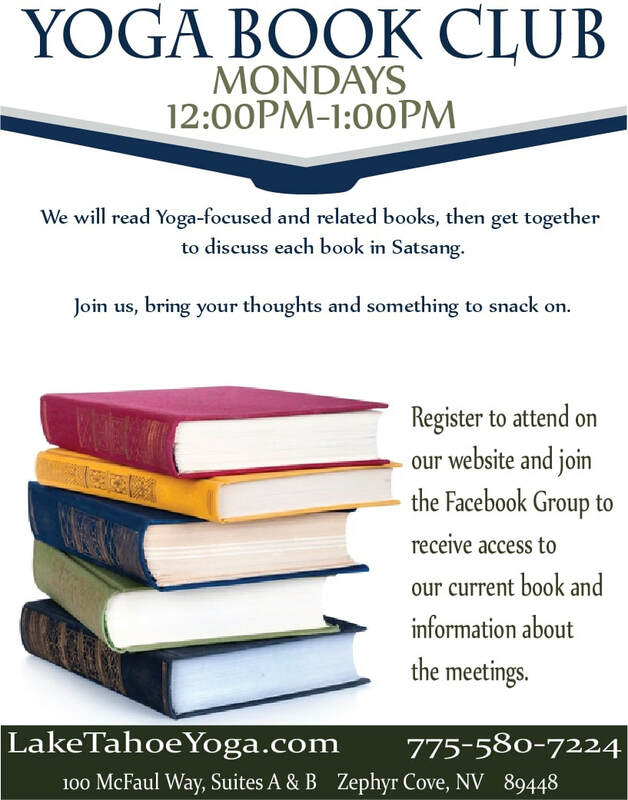 Join us as we focus upon the study and practice of Hatha Yoga; the root of all physically focused Yoga practices. Evidence of Hatha Yoga dates back to ancient texts called the Upanishads and Puranas written around 800 B.C.E. Through the study of the Hatha Yoga Pradipika ("Light On Hatha Yoga) we will discuss the practices of Satkarma: body purification. We will attempt to reach the objective of Hatha Yoga: to create an absolute balance of the interacting activities and processes of the physical body, mind and energy. Just as lions, elephants and tigers are controlled, by and by, so the breath is controlled by slow degrees, otherwise (i.e., by being hasty or using too much force) it destroys the practitioner. The difference between breathing and conscious breath is intention. The Hatha practices of Pranayama are specifically prescribed to shift the quality of Prana: life force. In doing so intentionally and with the use of Mudra we can choose how much and where Prana moves. Join us this month to learn how to breathe with consciousness and shift your energy intentionally. Hatha, Vinyasa, Energizing, Athletic, Alignment, Restorative, Relaxation and more. . . Allow us to create a unique practice based upon your requests plus a little extra TLC. Learn to Practice Yoga Everywhere! ​SPECIALTY PRACTICES AND MORE. . .
"Lake Tahoe Yoga picked by TahoesBest.com for Editor's Choice Award!" Lake Tahoe Yoga is a Take Back the Night studio. Join us during the month of September and donate to combat sexual violence.